Is OneFlare Right For Me? If you’re thinking about OneFlare the chances are you need more work, but you’re not quite sure if its any good. Spending a few minutes online researching could save you a lot of money. When things are busy you don’t more work, you’ve got enough to worry about. But things change. You might be wanting to expand, or your website rankings have dropped off the first page and the phones gone quiet, or you’ve just lost a major customer. Whatever it is, if you need more work now, then this could be just the thing for you. So I’ve got some things to show you below, first we’ll take a look at how it works, and what it might cost you to get started. Then we’ll go through how the website is performing in the Google Search results. Put simply, you rank for more search terms, you get more eyeballs on your website. You rank for more “plumbing” search terms, you get more people looking for plumbers on your website. If your a plumber, that’s what you want. I’ll take you through couple of examples using some common tradie search terms. Then I’ll show you how to test the results to see if it’s going to be any good for you. We’ll also take a look at what other tradies and customers think of the service, these guys have some wise words to pass on so it’s good to spend some time reading what they have to say. By the time you’ve finished reading this article, and tested a few things for yourself you’ll have a better idea if it’s going to be for you. 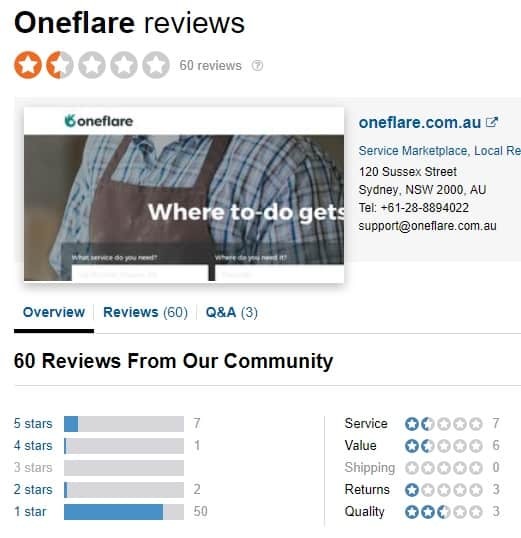 Oneflare is an Australian company that runs a website for connecting customers to businesses (tradies) otherwise known as an online marketplace. For tradies, its a lead generation system that allows businesses (like yours) to buy the quotation opportunity, or to call or email the potential customer. Oneflare uses a credit system. 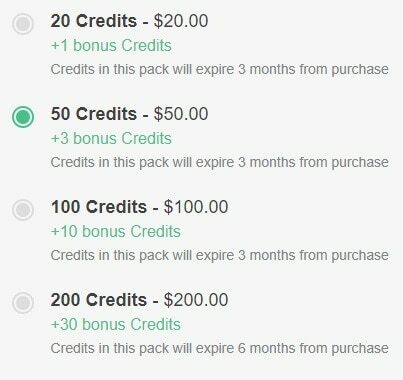 The OneFlare credit system allows you to purchase a bundle of credits ranging from 20 Credits for 20 dollars, up to 200 Credits (includes a bonus of 30 Credits) for $200. The Credit packs expire after 3 months of purchase. These Credits are used to purchase Leads. The Leads are priced based on a number of factors including the type of work and demand for the job. All lead prices are shown to you before you quote, so you can pick and choose which leads you’d like to spend your Credits on. For example, a Lead for a window cleaning quote, for 10 – 15 windows cleaned on both sides in the suburb of Sandringham, VIC will cost you 9 Credits. For customers, the quotes are free, they submit the details of the job and will receive up to three quotes. What Type of Leads Will You Get From OneFlare? Customers looking for a tradesman search Google, they type in the type of trade they need followed by the location. And as you’d expect some search terms are more popular than others. If someone living in Sydney wants a plumber, they type in “plumber sydney”, and the businesses that appear at the top of the search results get more clicks to their website. Here’s what the first page of Google looks like when we typed in “plumber sydney”. For this search we see . The type of lead your likely to get from OneFlare is largely dependant on where they appear in the search results. Sticking with our Plumber scenario, we’ll dive in and see where they are performing well and what they’re missing out on. Here’s the list of search terms where the OneFlare website appears on Page 1 of Google. 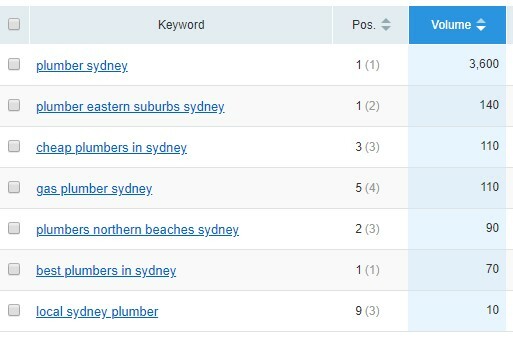 These search terms have both the “plumber” + “Sydney” keywords in the search phrase. That’s a pretty impressive result, ranking first for the coveted “plumber sydney” keyword, as well as a few other popular search terms. If your a plumber in Sydney, Northern Beaches and Eastern Sydney you would expect to get a high number of consistent leads. 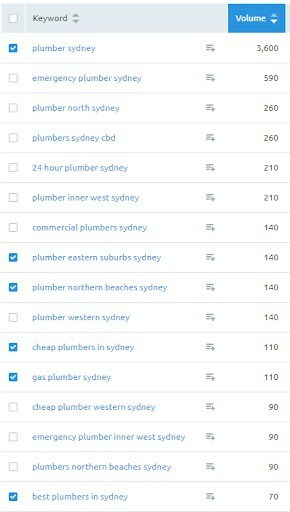 Comparing these results with the list below of the Google “most popular” search terms for plumbers in Sydney we start to see other search terms where OneFlare aren’t appearing. Plumbers that specialise in emergency, 24 hour or commercial type work won’t be getting as many leads, nor will the plumbers in North Sydney, CBD or the Inner West. Moving on with our Plumber scenario, let’s take a look at the Melbourne search results. Here’s the list of search terms where they appear on Page 1 of Google. These search terms have both the “plumber” + “Melbourne” keywords in the search phrase. 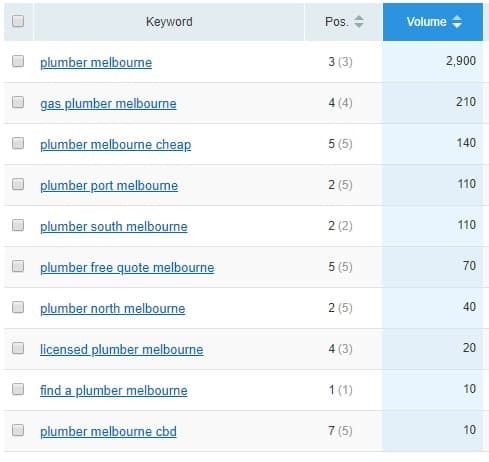 Once again, very impressive results, ranking third for the coveted “plumber melbourne” keyword, as well as a few other popular search terms. If your a plumber in Melbourne, Port Melbourne, or South Melbourne you would expect to get a good number of consistent leads. 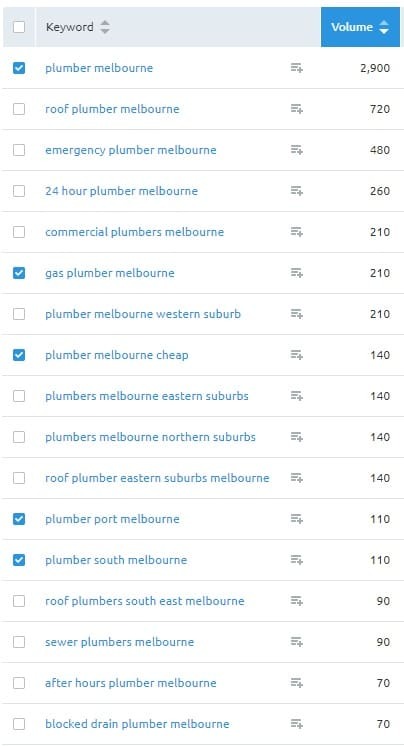 Comparing these organic results with the list below of the Google “most popular” search terms for plumbers in Melbourne we see some more search terms where OneFlare aren’t appearing. Plumbers that specialise in roof, emergency, 24 hour, sewer, block drains or commercial type work won’t be getting as many leads, nor will the plumbers in Western Suburb, Eastern Suburb, Northern Suburbs. Let’s take a look at the Brisbane search results. Here’s the list of search terms where they appear on Page 1 of Google. These search terms have both the “plumber” + “Brisbane” keywords in the search phrase. 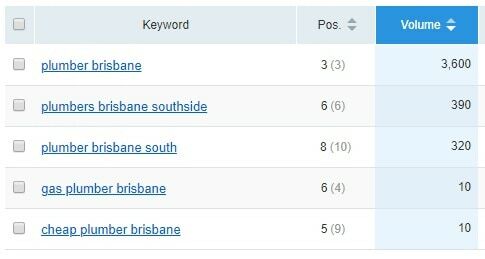 Good results, ranking third for the “plumber brisbane” keyword is a good achievement, as well as a few other popular search terms. If your a plumber in Brisbane, Brisbane South you would expect to get a good number of consistent leads. 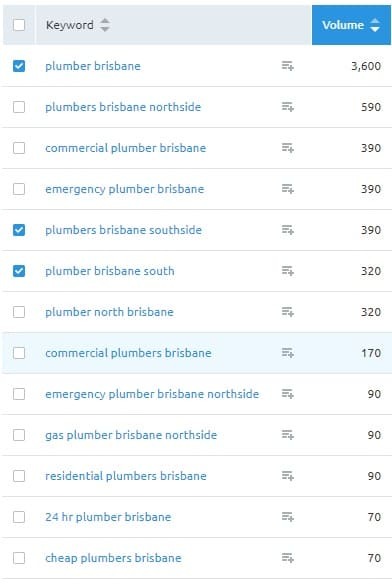 Comparing these organic results with the list below of the Google “most popular” search terms for plumbers in Brisbane we see some more search terms where OneFlare aren’t appearing. Once again for any plumbers that specialise in gas, emergency, 24 hour, residential or commercial type work, won’t be getting as many leads, nor will the plumbers in any of the other Brisbane areas such as northside, southside or the western suburbs. Let’s try the Perth search results. Here’s the list of search terms where they appear on Page 1 of Google. These search terms have both the “plumber” + “Perth” keywords in the search phrase. Excellent results, ranking fist for the “plumber perth” keyword is awesome, as well as qute a few other popular search terms. If your a plumber in South, North Perth you would expect to get a good number of consistent leads. 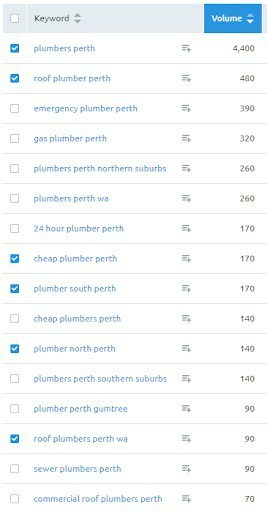 Comparing these organic results with the list below of the Google “most popular” search terms for plumbers in Perth we see some more search terms where OneFlare aren’t appearing. We’re starting to see a pattern. Plumbers that specialise in gas, emergency, 24 hour, or commercial type work, won’t be getting as many leads, nor will the plumbers in any of the other Brisbane areas such as northern suburbs, southern suburbs of Perth. We’ve seen how Oneflare perform in the search results and generally speaking they do very well. To get a better sense of what customers think of the Oneflare service I’ve dived into the world on online reviews. There’s 3 main sites that have a wealth of feedback from tradies and customers, see for yourself. At the time of writing, Sitejabber has 60 reviews for Oneflare, 50 of these rate the service a 1 star, and 7 rate the service as a 5 star. The majority of these 1 star reviews are from tradies that have had an unsatisfactory experience. I took 2 small jobs last 6 months. I have just been informed that if leads are uncontactable or do not respond suppliers only have 72 hours to request a refund on that lead otherwise your Refund will be declined. We feel this is not enough time!. Sometimes we may not get hold of leads for a few days! This new 72 hour time limit was put in place on the 3rd January 2019 When most tradespeople are closed down for the xmas break. I was informed I should have read the email that was sent out on the 3rd January. I found the email in my spam folder and no where in the body of the email does it mention a 72 hour time frame to request refunds. I guess this is just an extra way for them to make money. When I mentioned this to them they claim you have to ‘click’ through the email to ‘Find Out more.’ A very disappointed long term supplier on Oneflare. I guess we are just a number now. Been with oneflare for 4 weeks not one response from leads.txt so called customers.no responce.as a tradie it’s time wasting and money. I gave it a go and kicked off in July/Aug of 2015, I persisted until Oct/Nov 2017. I called and complained about the lack of contact after quoting with more tire kickers than actual jobs. Please stay away Oneflare.com to promote your business. The projects were fake leads and not genuinely in helping the business owners to get works and validate the customers. I have spent $500 a month without a single close deal. I have called contacted the customers and most of them do not answer the call and reply to my emails. I have wasted my time, money and create a quote through Oneflare. This company is a scam and so stay away from them. God I wish I had of read these reviews before subjecting myself to this morally bankrupt company. Signing up for 3 free months, then had to buy $100 worth of credits. In my honest opinion, less than 30% of leads are even genuine, the other are completely fake. No business at all, then got slugged $99 for not cancelling my subscription after 3 months, even after emailing to cancel my involvement. I’ve sent all correspondence, contract, recording of phone conversation etc. to ACCC. This should hopefully shine a light on this scam of a business. I did contact Oneflare to have my subscription money re-credited but they refused. They picked the wrong guy this time and I will make it my business to expose this horrible business. At the time of writing, Sitejabber has 60 reviews for Oneflare, 7 of these rate the service a 5 star service. The service is very excellent and very efficient. Oneflare helped me find a good company to move my house. The company ‘s name is My Moovers. I will let my friends know it. Found this a great service. Tradesmen quoted and job was completed promptly. Happy to recommend this service and would use it again. Perfect day 10 out of 10. Tania is a wonderful caterer and a pleasure to have at any event. Been advertising with these guys for over 3years now. Paybill for best advertising and most quotes possible. Stuart Frost photographer replied to my ad and came to take photos of my holiday accommodation venue in Yungaburra. I highly recommend Stuart to all. I used Oneflare to get a gardener in and 3 gardeners responded to my request almost immediately. We got 2 of them out to quote and they were prompt to come out to my place and quote. I couldn’t have been happier with the response. It took the pressure off me to try and contact gardeners personally. I just didn’t have the time and energy to do that. My family recently used Brilliance removals to assist in relocating a family member to a country town near Perth. The assistance from the first phone call to the pick up and delivering to the destination was absolutely professional. I highly recommend Eddie and his team to anyone in need of a furniture removals’ service, you will not be disappointed. 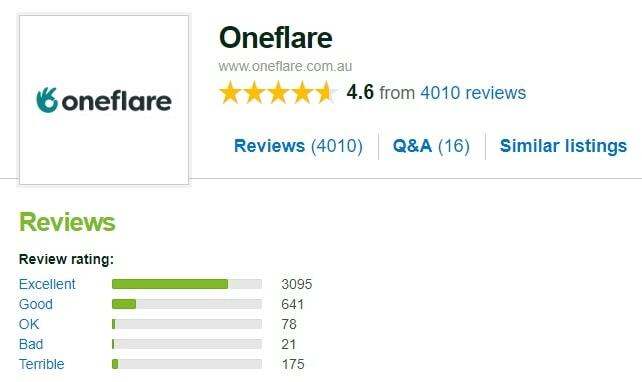 At the time of writing, Product Review has 4014 reviews for Oneflare, 176 of these rate the service a 1 star, and 3097 rate the service as a 5 star. They will take money out of your account without advising you!!!! Really bad sell fraudulent leads and will not check on leads that are fraudulent. Be wary can easily be scammed by competitors and made up enquiries. Extremely poor lead generator compared to Facebook or Google. Once they’ve received their payment, they don’t care about you basically. We saw dnd Solid Concrete working next door (obtained through Oneflare), so we asked them to do a job for us too. We paid them in full (a mistake!) but they have not returned to complete the job. First time using the service, i manually top up the credits once i used it up it automatically charge extra top up to my credit card i called to request refund they say they don’t refund. All the quotes sent out was charged with my credits eventhough the job no longer available basically i just keep on giving free money to oneflare. I am wondering how much they scam money out of business owners for sending quotes for each job. Oneflare was quick and easy to use. I had landscapers contacting me within days of my request for quotes. As a result we have already had some work completed and are well on our way to having a great looking outdoor space. Oz and his mate did a fantastic job of painting at our residence, wherein we had to put in a new colour on the walls and ceilings from the original. The work was completed to the schedule committed. A very professional and likeable team. Quality of workmanship and finishing is commendable. I would certainly use the services of Oz and Luxury Painting Services and equally recommend him to my friends and colleagues. Able to decide quickly, and get the required work done – and all at a good price. Would highly recommend. Made it a lot easier to find the best price for steam cleaning and make arrangements over the web. I especially liked being able to see reviews when choosing which business to go with as well, as cheapest isn’t always the best, so I was able to select based on people’s past experience as well. I will use this service again when I need work done at home. Thank you Oneflare. Your website helps us a lot and gives us a lot of opportunities to get to know different source of service provider. I'm Matt, the founder of Smart Web Solutions and I've been involved in the technology industry since 1998. I provide Internet Marketing, Website Design, and Consultation. If I'm not at my computer I'm out running. You connect with me on Twitter or join our mail list for the latest SEO news, tips and special offers.